Content marketing is important regardless of what niche your business is in. One of the best ways to practice content marketing is to create live videos. Video allows you to repurpose your text content for a richer experience. Even better, Facebook loves it when their users record live videos. They love it so much that if you start a livestream and broadcast for longer than a few minutes, Facebook starts building an audience for you. All you have to do is show up! You can livestream right from your personal profile inside Facebook. After you’ve been live for a few minutes, Facebook will begin notifying your friends that you’re live. If your video is set to public then anyone can watch it, including people you aren’t friends with. Going live on Facebook profile is good when you have something personal to share that your friends and family may want to know. These situations could include pregnancy announcements, wedding details, family reunions and other private information. If you want to share content about your products or services, then you should broadcast from your business page on Facebook. When you broadcast to a Facebook page, there are no privacy settings so anyone can pop in and watch your video. As with livestreaming from your profile, Facebook will begin notifying your community that you’re live on video. If you have followers that have signed up for notifications, they’ll be alerted the moment you begin streaming. One advantage of streaming from your page is that you can boost the video with an ad, helping you to reach more of your market. So if you’re livestreaming in the hopes to grow your audience, a business page is the way to go. Another option for livestreaming is broadcasting inside a group. If a group is closed, only you and your group members will be able to see your live streams. This can be useful if you use Facebook groups to coach clients or share product launch details with affiliates in advance. But make sure to check before you broadcast in a group! If the group is set to “Open” that means that anyone who finds the group can watch your livestream. So if you’ll be creating content that you aren’t ready for the world to see quite yet, you’ll want to adjust the privacy settings of your group. You can also use livestreaming on an event page. This is a great way to engage your online followers if you’re hosting an offline event like a seminar or conference. But you can also livestream if your event is a digital one. For example, you could broadcast the launch of your latest product or kick off a virtual conference with a Facebook Live video. Keep in mind that events can be set to public or private and cannot be changed within Facebook. That means if you want to livestream during a private event, no one else but your attendees will be able to see your videos. So if you want the world to see your broadcasts, make sure that your event is set to public before you go live. 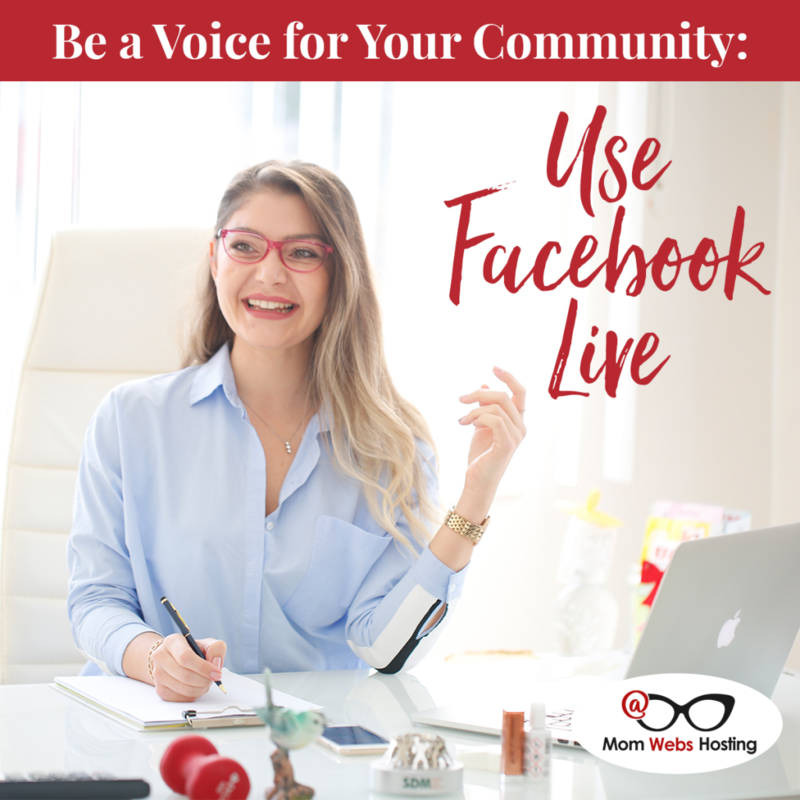 Facebook Live is a great way to build your audience and to be a voice for your community! Remember to aim for at least 15 minutes and be ready to interact with your viewers as they leave comments. Taking a stand and being a voice for your community are really important parts of what you do online (whether it’s through Facebook live or another form of content), because when you take a stand, you become an invitation! What do you (or will you) take a stand for? If you’re not sure how to get that message across, I invite you to check out my Banner Message training now.